I just stumbled across an old comic page (while working on another project) that I would like to share with you. 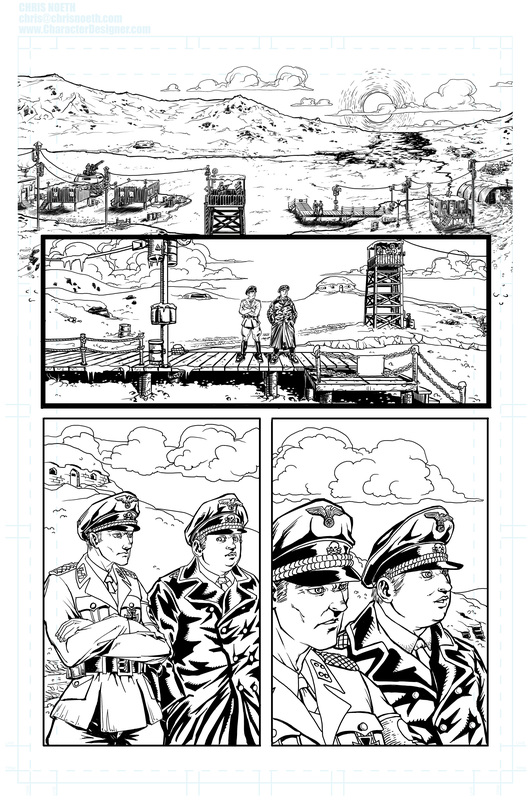 This is a page from the comic ALPHA BETTIE which was written by ex-IDW editor Dan Taylor and unfortunately has not been printed yet. Sci-Fi has a hard time in comics. 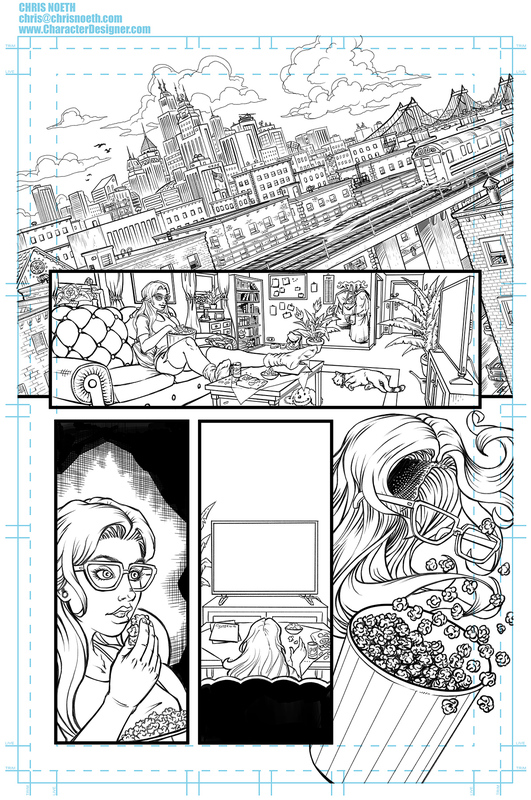 This is a digital comic sample page to demonstrate my digital pencils. 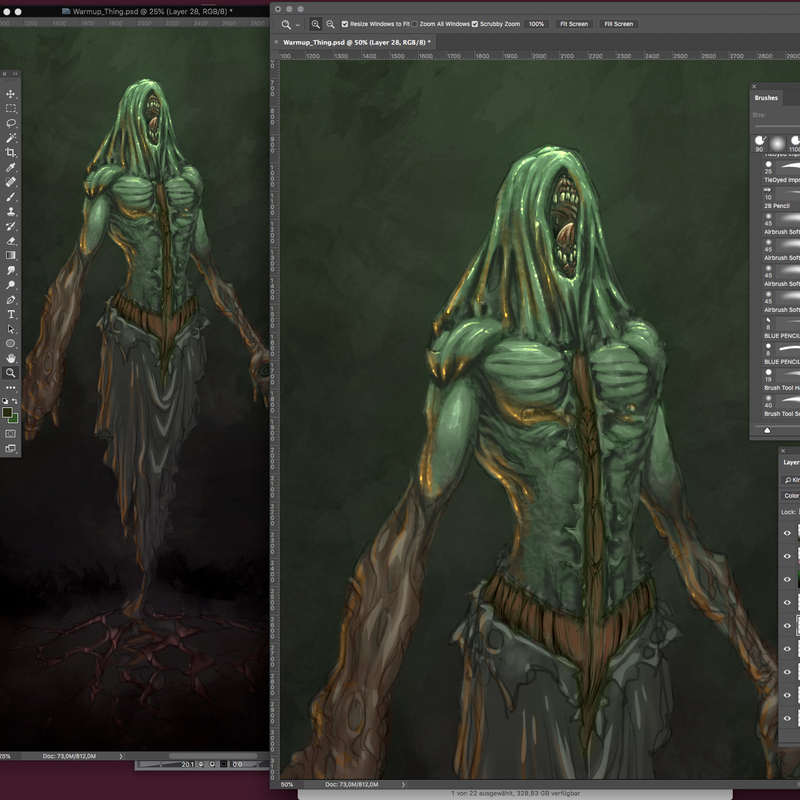 The image shows the digital process as I make my comic book illustrations. The pencil drawing was kept very simple, as I have then inked them myself. 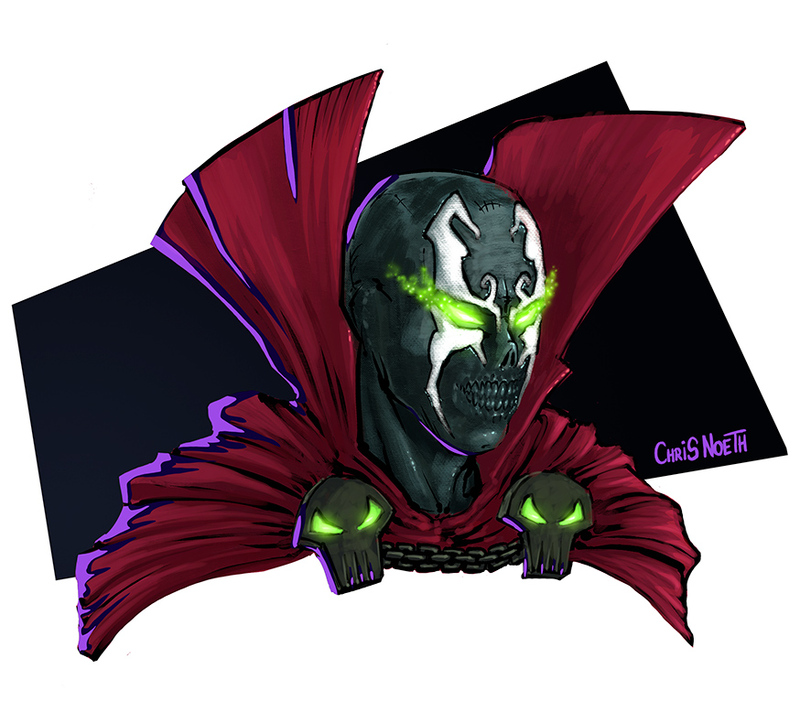 Pencil drawing, ink and colors, all created with a Wacom Cintiq using Clip Studio and Photoshop. 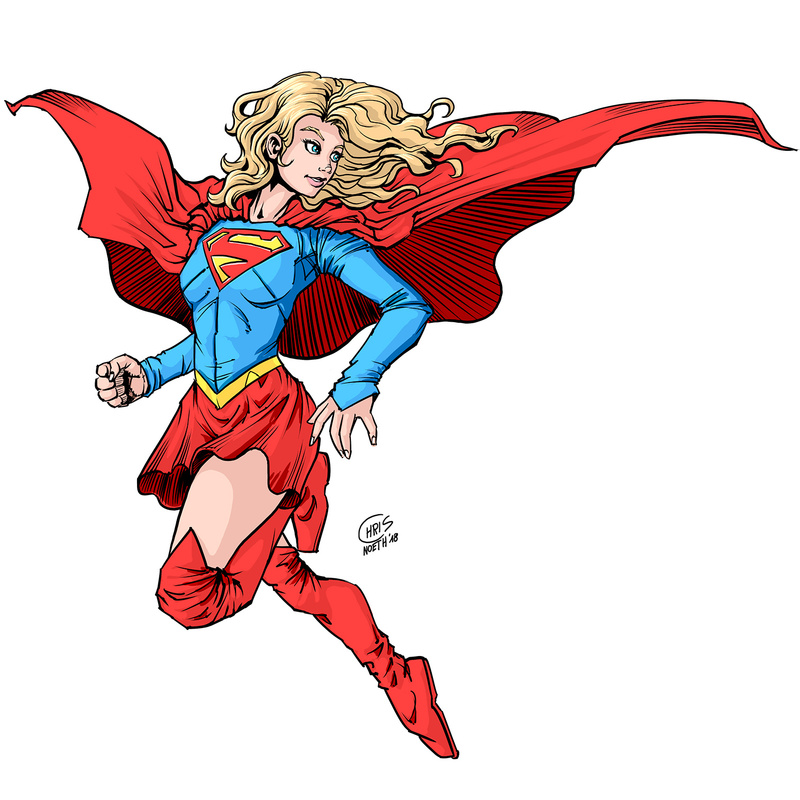 While trying out my new software Clip Studio Paint EX I did a quick blueline sketch of Supergirl. And because I really like how the dynamics in original sketch art look like I tried to capture some of the dynamics by directly doing the inks over the layouts. 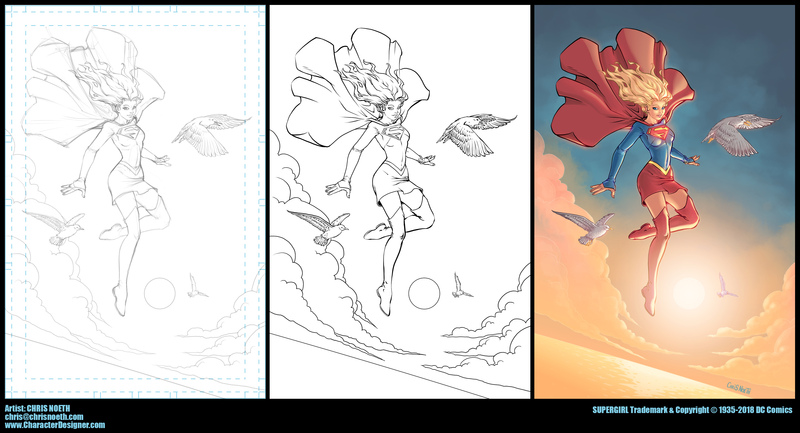 I like some of the results and probably will stick to this approach when working on sequentials. 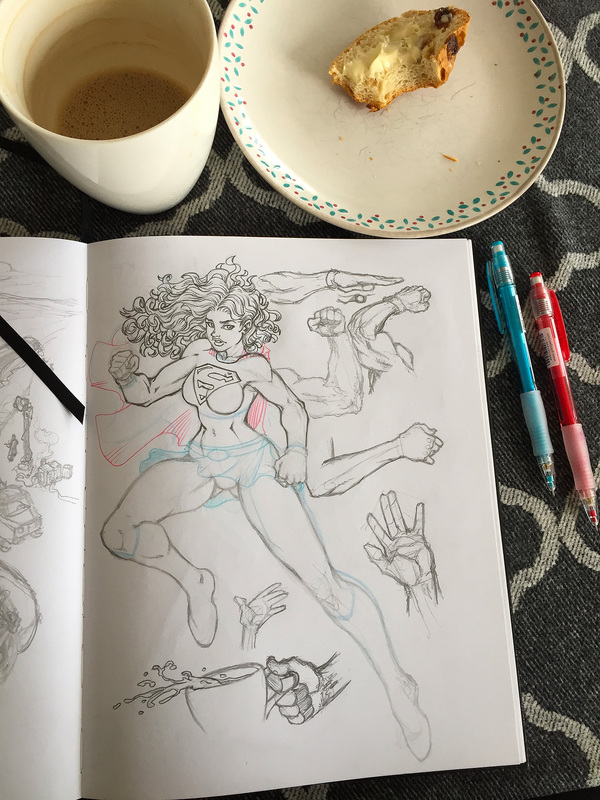 In comics everything is about dynamics… so I think this will work. What do you think? Would you read a comic with this kind of style or do your prefer a more “traditional clean” look?